The Kids army Camouflage Assault Vest or children who want to dress up as soldiers, going fishing, country activities or Halloween.Manufactured with 1000 Denier Cordura material which a tough fabric and the kids army vest is very durable and is water resistant and helps to keep you dry.Lightweight adjustable straps on shoulders for good fit,9 front and side pockets for bits and bobs. One size fits all. 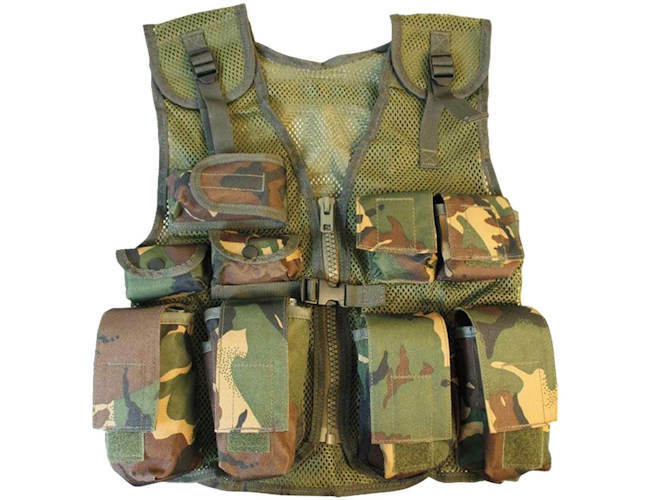 British army DPM camouflage.This is a fully adjustable assault vest. Lightweight Mesh helps fabric to breathable. British Army DPM which i disruptive pattern material.